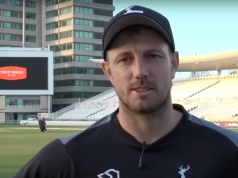 Notts Outlaws and Leicestershire Foxes face off on Friday evening at Trent Bridge fresh from desperately-needed Championship victories and looking to cut loose the shackles in order to advance their case for a T20 Blast quarter-final. For Notts, a first Championship win of the season in a topsy-turvy contest with Sussex has left the Outlaws’ outlook far rosier. With a game in hand over much of the North Group, Notts will be looking to put together back-to-back wins in the Blast, a feat made possible by their victory over early pace-setters Durham last time out. 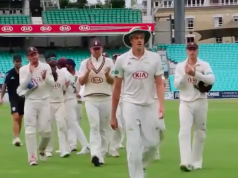 Up the road at Leicester, barely can a County Championship Division Two victory have been met with such adulation and relief as that of the Foxes’ win over Essex this week. Whilst head coach Andrew McDonald refused to get carried away with their first victory since 2012, inwardly he must have been bursting with a mixture of pride and relief at the way his young charges closed out an emotional victory. 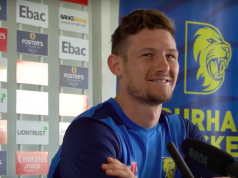 Their challenge now is to ensure that they can bounce back from a T20 Blast defeat against Worcestershire Rapids and tilt the scales towards the win column. The two sides produced one of the great finals- and indeed, one of the great controversies- of English T20 cricket when they met in the 2006 showpiece at Trent Bridge. A delivery from Leicestershire’s Jim Allenby arguably should have been called a no ball, which would have surely gifted the title to Notts. It wasn’t called; Leicestershire lifted the trophy and spoiled the Outlaws’ party. A repeat of that thriller- perhaps without the controversy- would certainly be welcome on Friday night. It’s that time of year when England players are caught in the unfamiliar guise of their county clothing, and for Nottinghamshire, that means the return of Stuart Broad, released to face the county where he made his name. Ideally, it shouldn’t be a novelty for clubs to have England players in their ranks, but, with Broad available for a domestic T20 for the first time since 2010, Notts are faced with an embarrassment of riches. With four matches played, we are at the stage where this year’s statistics give a sufficient sample size for us to pick out the important players. For Leicestershire, bowler Jigar Naik fits that bill. Leading wicket-taker for the Foxes with six, an impressive economy rate of 6.33, and having completed all but one of his possible overs, Naik’s off-breaks have been a consistent part of Leicestershire’s strategy. Notts will take the opportunity to rest and rotate a few, particularly in the fast-bowling ranks. It was expected that Ben Hilfenhaus would have to wait until Sunday to make his debut, when the Outlaws face Worcestershire Rapids, but he has been named in the squad alongside Broad. It’s less a selection headache for Mick Newell, and more a gentle massaging of the temples. Leicestershire lose Grant Elliott to the New Zealand one-day preparations, bringing in Pakistan batsman Umar Akmal in his place. Kevin and Niall O’Brien are both away on international duty with Ireland. Notts Outlaws squad: James Taylor (c), Jake Ball, Stuart Broad, Luke Fletcher, Harry Gurney, Alex Hales, Steven Mullaney, Samit Patel, Darren Sammy, Greg Smith, Brendan Taylor (wk), Riki Wessels, Sam Wood. Leicestershire Foxes squad: Mark Cosgrove (c), Andrea Agathangelou, Umar Akmal, Matthew Boyce, Ned Eckersley, Clint McKay, Jigar Naik, Neil Pinner, Ed Raine, Atif Sheikh, Charlie Shreck, James Sykes, Rob Taylor, Tom Wells. There’s a brief chance of thunderstorms towards the east, but with dry weather forecast during the rest of the day, it should at long last resemble summer in Nottingham. This is the fourth consecutive home T20 match for the Outlaws before they have a run of four away games- a strange schedule, but one that indicates that on balance, chasing a total should be the preferred option.